Leg It For The Lifeboat is less than 3 weeks away ! Don't miss the bus. The event starts at 10:30am on Sunday 19th of April. The leisurely run will take in views along the estuary and sea shore as it makes its way from the Station’s Inshore Lifeboat (ILB) Boathouse on Central Beach, Lytham along the promenade to the Station’s All-weather Lifeboat (ALB) Boathouse on South Promenade, St Annes where a BBQ will be held to revitalise the runners and helpers. 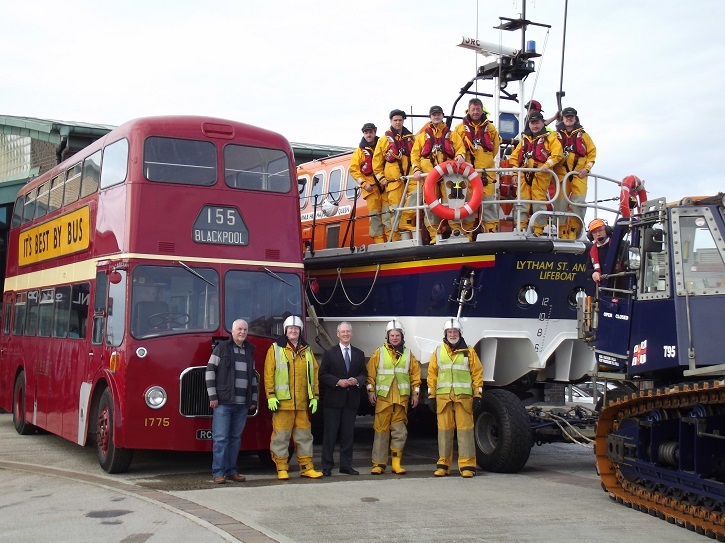 If participants wish to park at Pleasure Island, St Annes to be near the finishing line, vintage buses will be available to ferry participants from the All Weather Lifeboat Station at St Annes, to the starting line at the Inshore Lifeboat Station at Lytham. The distance of the run will be 3½ miles / 5.63 Km so it is not planned to be too taxing unless an individual runner wishes to set a time. Walkers are equally welcome to come for a pleasant Sunday stroll. It is hoped that all ages will participate, even down to little ones in push chairs. Let's Leg It For The Lifeboat ! !